Excellent Advice for Business, Churches, Hospitals, Schools and Universities. Heat going through the roof. Warning Landlords of low-energy efficient homes have been warned ‘to go green’ . If they do not improve their properties’ energy efficiency, says local energy expert Ron Fox, up to one in ten buy-to-let homes wiII be ineligible to be let in three years’ time. Ron, who runs Keele-based green energy company Noreus, said that Owners won’t be allowed to rent out properties with the two lowest efficiency ratings of F and G under new laws coming Into operation in April 2018. The Government is still deciding on whether the ban will take effect on a set date or whether properties with a For G rating can continue to be let until the end of an existing tenancy. In a questionnaire published last month, the EHA Survey said 11.4 per cent of homes in the private rented sector were rated F or G in for energy efficiency. This compared to only two per cent of local authority homes, 1.6 per cent of housing association properties and 8.2 percent of owner occupied homes. This is repaid by a supplement on the property’s electricity bill which Is cancelled out by a drop in energy bills, thus ensuring there is no net cost to tenant nor landlord. All of these services we have direct agents for and draw downs can be as fast as 48 hours on most loans. Super Insulation Designed for the Arctic – Installed in the UK. 1. What is the designed for the Arctic System? It is a 100 per cent water blown, soft spray foam insulation system. It improves insulation as it fills all holes and hard to reach places in your home and forms an air-tight seal. It also leads to better sound proofing. 3. Why is it different? It maintains its performance levels and does not shrink, settle, crack or split into layers. 4. Does it cut fuel bills? Yes, fuel bills can be cut by 50 per cent. 5. Is it environmentally friendly? Yes, greenhouse gases are reduced significantly with up to 30 per cent cut in CO2 emissions, while still allowing the building to breathe. It also gives up to a 12 degree increase in floor temperatures so providing a warmer home. 6. Does it have to be a new building? No, the system is effective on both new and existing buildings. there’s lots of buildings put up more than 100 years ago that are still in existence and they are fully functional? It is true that many buildings put up a century ago are in good working order. Now with the advances in construction technologies new buildings are expected to last just over 50 years. 8. But that’s less than half the life expectancy for new buildings compared to the much older ones. With all the modern technology why do new buildings have a shorter life expectancy? That can be traced back to when the building industry increased the use of insulation to improve energy efficiency. The challenge facing designers and builders in the early 1970 was to produce energy efficient buildings. In many cases what was built was energy-efficient buildings but with poor indoor air quality (IAQ). 9. So what was the problem? The industry’s failure to recognise the need to seal the building effectively produced a series of unwanted side-effects. Inadequate air/sealing and/or improper ventilation led to condensation in the building and an increase in mould and mildew. This poor indoor air quality (IAQ) may have had an effect on people’s health. 11. What were these effects? Experts have been investigating whether there is a link between the exposure to mould and the increasing rate of asthmas and allergies in the United States. 12. Does it matter where the homes are? Yes, modern structures are built to a code representing minimum standards. The problem is these standards are often outdated and not helped by the previously perceived need for a universal code. The climate of the area, the height above sea level, the geology of the land and other factors were not taken into account. 13. So what is the answer? There is a way to build energy efficient buildings that maximise indoor air quality (IAQ) and ensure a long life span. The answer lies in ventilation and sealing/controlling the whole building. The biggest enemy to that is water which can enter a building in four ways. 14. What are those four ways? The first two methods are gravity and capillary action, which are helped by imperfect construction techniques. They usually allow substantial amounts of water to infiltrate the building with the obvious effect of condensation. The other two methods are air leakage and diffusion, which are often overlooked as they are less visible and usually take longer to develop. Damage occurs when hot, humid air comes into contact with colder surfaces and temperatures causing moisture to accumulate and providing a potential breeding ground for mould, mildew and other airborne organisms. Interestingly, air leakage is 100 times more efficient in moving moisture around a building than diffusion. 15. How can you stop air leakage? Controlling air leakage and the movement of moisture extends the life of a building and improves the indoor air quality (AIQ). Controlling air leakage also reduces the amount of exterior pollutants and gases reaching the inside of a building. In fact the American Lung Association estimates that indoor air pollutants can be two to five times higher and occasionally ten times higher than outdoor air pollution. The wrong solution to this problem is to build a leaky structure and allow the ventilation rate to fluctuate depending on the weather conditions. The correct solution is to provide adequate ventilation for interior spaces. Studies by government agencies and utility companies reveal that random air leakage can account for as much as 40 per cent of a structure’s heat loss/gain. 16. Is technology leading to improvements now? Yes, more effective framing methods, combined with better and longer lasting sealants and gaskets are helping to achieve the objective of a sealed building envelope. 17. 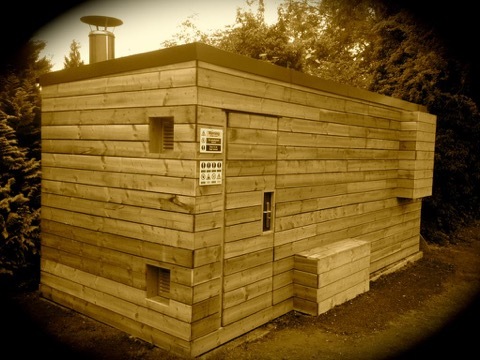 So is the Noreus Insulation System the answer? Yes, it could be the answer for you. If it lowers your fuel bills, cuts your CO2 emissions and leads to a warmer house, isn’t it worth looking at? 18. Is there a warranty? It comes with a 25 year warranty. 19. How long does it take to put in? 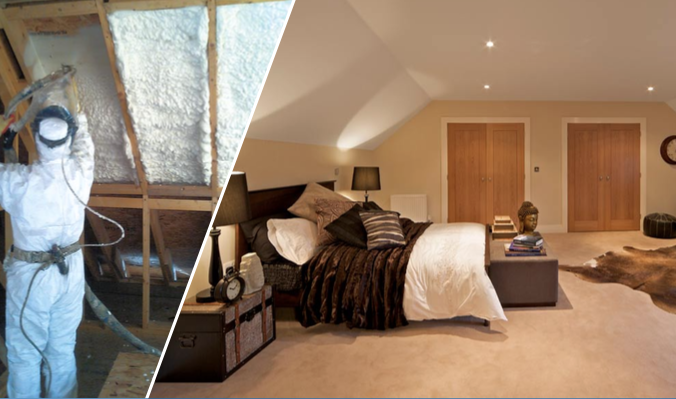 Our system can be applied to a three bedroom semi in a day. 20. How do I find out more? Call 01785 330749 for expert advice and a free, no obligation quotation. Alternatively email noreus@icloud.com for a call back or write to MED Ic4, Keele University Science 7 Innovation Park, Keele, Staffordshire ST5 5NL. 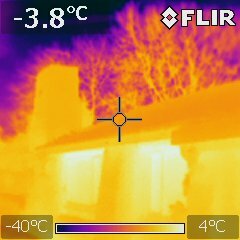 A free thermal home survey for all enquires. T&C apply. For the latest yellow pages deal visit http://www.yell.com/biz/noreus-ltd-newcastle-7366550/ click on the deal link for the special code. Then email your details and the special offer code to noreus@cloud.com. For call backs please state the best time to contact you. Now is the time for householders to shrug off the winter chill and think about home improvement plans. Firstly, residents need to know if their home is energy efficient and where, if any, are the problems. Midlands energy adviser Ron Fox, who runs Noreus Ltd, says the first stop is to get a thermal imaging camera which will show up any weaknesses without having to cut into plasterboard or concrete or search through the attic or the roof. The camera scans the temperature distribution of surfaces and generates accurate, high resolution images of a home showing where the energy is lost from the building. It reveals defective insulation, air leaks and moisture in cavity wall insulation and roofs, water problems in flat roofs, leaks and defects in pipes or under-floor heating systems and inefficient seals around door and windows. Up to 60 per cent of heat lost in a home is through the roof and the walls and Ron says the first home improvement plan should be to spray foam the attic with the environmentally-friendly Superior Insulation System. It forms an air-tight seal and reduces heating bills by up to 50 per cent as it literally stops heat going up through the roof, saving up to £600 a year every year. 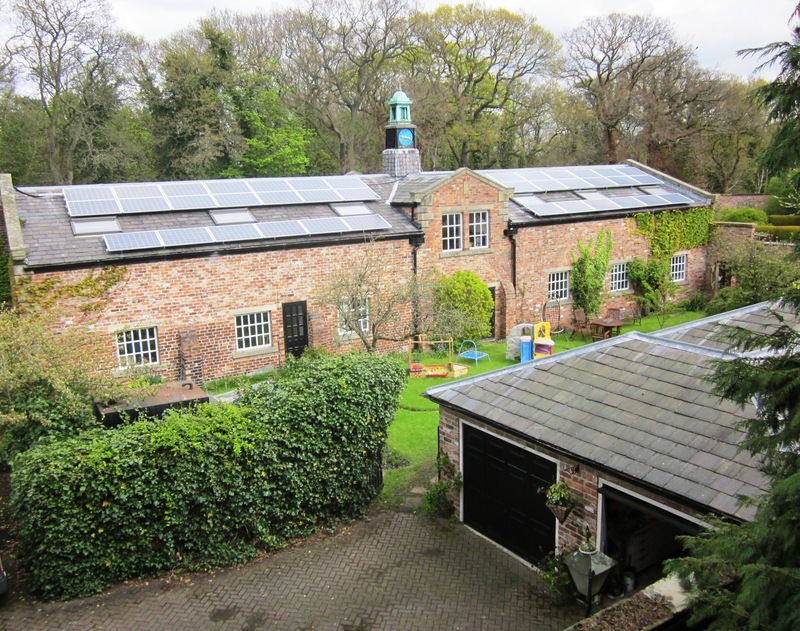 Another home improvement plan is to invest in solar panels, particularly as the cost has fallen by half in the last two years from around £14,000 to £5,000 today for a 2.5 kilowatt system with 12 panels on an average semi-detached house. This could fall further after scientists at the University of Sheffield and the University of Cambridge announced this week that they had developed a spray-coating technique using plastic rather than silicon for solar panel cells in a similar method to that used to spray paint cars. The main advantage of installing solar panels the Feed-in Tariff or FiT payment, which is the money the Government pays people for generating electricity every year. It is index linked and householders can receive over £14000 20 plus the Export Tariff, for electricity exported to the Grid. The Energy Saving Trust, a non-profit organisation jointly funded by the Government and the private sector to promote the use of green energy, points out that those residents would also save on average £237 a year in energy bills. Many householders believe they need to spend big money on investments such as solar panels and double glazing to cut their energy bills. But Midlands expert Ron Fox says one cheaper option which can bring dramatic savings is to clear the limescale out of domestic water systems. Ron, who owns green energy company Noreus in Stafford, said most of the UK has hard water, apart from Cornwall, western areas of Wales and parts of Scotland which has soft water. When the hard water is heated calcium carbonate deposits are formed in pipes as well as washing machines, dishwashers, shower heads, kettles and other appliances. It is easy to get rid of the off-white, chalky deposit in the bathroom or the kitchen but the more serious damage is in the pipes and the heating system which is harder to see and more costly to remove. Calcium carbonate reduces the efficiency of a heating system and even wrecks pumps and other equipment. Research at the University of Plymouth discovered that a boiler with no limescale took 90 minutes to supply an average home with hot water while one with 10 millimetres of limescale took more than six hours to do the same task, adding hundreds of pounds to the resident’s annual energy bill. The Carbon Trust, which gives advice on energy efficiency, says that every millimetre of calcium carbonate on a boiler system increases energy consumption by seven per cent. But Ron says there is an easy, simple way and cheap solution to the problem. He is offering a free thermal imaging camera survey which shows where householders can reduce their energy bills and which radiators have high limescale content. 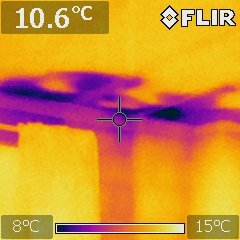 The camera also reveals air leaks and moisture in cavity wall insulation, water problems in flat roofs, defects in pipes or under-floor heating systems and inefficient seals around door and windows without having to cut into plasterboard or concrete or search through the attic. After the camera inspection Ron is offering to flush the impurities out of the whole radiator system and then put in a de-calcifying product to get rid of the limescale from £150 upwards, depending on the size of the home. He will also advise on putting in water softener systems. In 2006, new homes in hard water areas had to have water softeners installed and now several local councils are putting them when they carry out council home refits. For more details about other energy saving ideas call Ron on 0845 474 6641. Keeping the roof on our churches. The Chancellor of the Exchequer announces 45 Million for for urgent repairs to roofs and rainwater goods on listed church buildings. Over 1,900 applications from Church groups were received, before December after the government announcement 15 million towards the repair. Each application was supported by tremendous teams of of clergy, volunteers, architects and surveyors across the UK. The Church of England already recognised that there was significant need for funds for the repair of church buildings but even we could not have predicted such an enthusiastic response. Noreus would like to congratulate all the churches that have applied. The general public can see how important our churches are to the communities throughout the land. It also gives an insight to parishioners about the cost of maintenance and repairing these historic buildings,keeping them in sound condition. • Is the place you worship listed? • Is the place you worship used mainly as a place of worship? • Is your group fully responsible for maintaining your building in which you worship? • Is your application for the repairs to the roof and/or rainwater disposal systems? • Has a professional building report identified the repair work as necessary within the next five years? 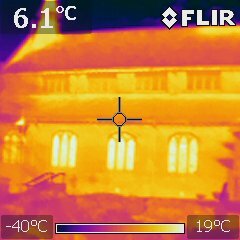 We are always pleased to support churches and keep the rain out and heat in.